The National Snow & Ice Data Center northern and southern hemisphere monthly sea ice extent records can be viewed above. 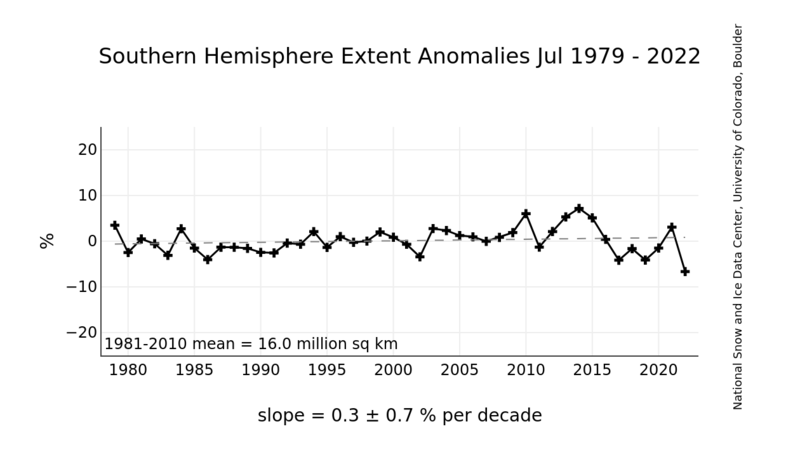 The US National Snow and Ice Data Center Web site provides a Sea Ice Index, along with maps of current and historical sea ice concentration and extent for both the northern and southern hemispheres, with downloadable datasets. The UK Met Office Hadley Centre Web site provides the HadISST global sea-ice data and associated diagnostics and indices. The datasets and indices are downloadable and offer current and historical sea ice coverage for both the northern and southern hemispheres. 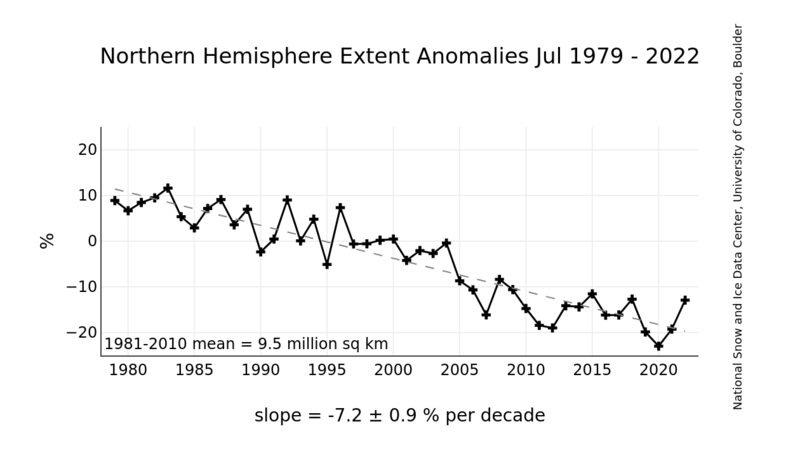 The Hadley Center northern hemisphere sea-ice extent anomaly plot is shown below. The US National Ice Center Web Site provides a Current Daily Ice Analysis, offering maps of current sea ice thickness and extent for both the northern and southern hemispheres using a variety of algorithms, with downloadable datasets.